Young, dynamic company TWIN4U had an eye for quality from its inception in 2008. 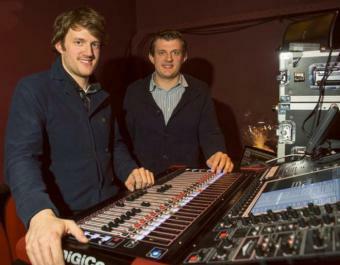 Now going from strength to strength, its commitment to using DiGiCo mixing consoles has never waned. As the company name suggests, the Belgian-based audio, lighting and video company is owned by identical twin brothers Christof and Philippe Peirsman, both of whom have a background in music and technology and have graduated from the renowned SAE (Sound and Audio Engineering) Institute in Rotterdam. This has played no small part in their desire to stock the best sounding equipment – the company owns an SD8-24, an SD9 and an SD11 – for the work they do across a variety of disciplines including concert touring, theatre, recording, corporate events and educational seminars. TWIN4U’s most recent projects have been a touring production of the musical Pauline & Paulette, that has been traveling around Flemish Belgium for around four months, on an SD9 , Kaatje, a children’s theatre production from Belgian public television station VRT, which utilizes the SD11, as well as a number of corporate events where the SD-8 has been deployed. From 2015 a new theatre production based on popular Flemish police television series Aspe will also benefit from TWIN4U’s DiGiCo consoles. KLIK HIER VOOR HET ARTIKEL OP DE WEBSITE VAN DIGICO.